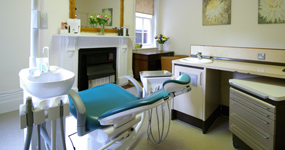 If your looking for dental implant experts in Bedford who have have an amazing success rate, excellent reputation and affordable prices then your in safe hands here at 5 De Parys Dental Care. A dental implant is an artificial root, used to support restorations that resemble an individual tooth or group of teeth. All dental implants today are similar in appearance to an actual tooth root and are placed within the bone. They are usually made out of pure titanium. The bone of the jaw "osseointegrates" with the titanium post (that is the implant actually fuses with the bone). Once the bone has grown onto the surface of the implant, a process which can take a few months, restoration work can be undertaken. Dental implants require sufficient jaw bone to be present and the bone to be sufficiently strong to support the implant. If this is not the case, then it is possible to graft on additional material (either the patient’s own bone or bovine or artificial substances, all of which can be used as an effective substitute). Implants can be used to support various dental restorations such as crowns, bridges or dentures. The current success rate for implants is over 95%. 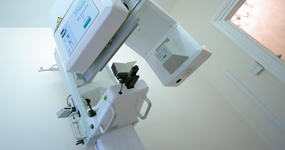 There are also few medical contra-indications so they are suitable for a wide range of patients. The assessment for the provision of an implant and the preparing and placing of the implant is a highly skilled process which requires the specialist skills of an implantologist. We are able to carry out implant and restorative placements at De Parys which obviates the need to refer patients to an external clinic for the specialist treatment needed. This also ensures that we can retain full clinical control of the process in-house besides avoiding the need for patients to travel to a separate facility. If you are interested in having dental implants we would be happy to arrange an initial consultation for you - please call the practice on 01234 352069.